A Seattle man died after suffering critical injuries in a hit-and-run bicycle accident on Rainier Avenue in Seattle on July 14th. According to The Seattle Times, the 50-year-old victim was riding his bicycle on Rainier Avenue South near South Lakeridge Drive on Saturday in an unincorporated area of King County between Renton and Seattle. He was reportedly struck from behind by someone driving an older red GMC or Chevrolet pickup truck, who fled the scene of the crash. The truck was found within a couple of days by police, and the 50-year-old woman responsible for the fatal crash turned herself into Seattle police the next day. She is now facing vehicular assault charges. The friends and family of the victim, who was married and had two children, have set up a GoFundMe fundraiser to cover the cost of a funeral and other expenses. 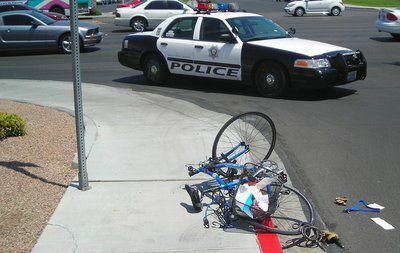 The hours and days immediately following a serious bicycle collision – especially one that results in serious injury or death – are crucial when it comes to building a legal case and holding an at-fault party responsible for his or her negligence. The investigative process and collection of evidence are very important pieces for supporting any potential civil case. Washington state law sets a strict limit on the amount of time that accident victims and their loved ones are permitted to pursue a civil case, so acting quickly to preserve evidence and document witness statements is always important. Failure to act within a reasonable timeframe or making other common mistakes during the legal process can damage the chances of a favorable outcome or even lead to the case being dismissed altogether. The award-winning attorneys at Davis Law Group have helped injured bicyclists and their loved ones recover fair financial compensation after an accident for more than 20 years. 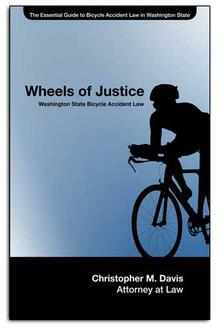 Since being founded by attorney Chris Davis in 1994, our legal team has handled some of the most serious and high-profile bicycle accident cases in Washington state. Call our office in Seattle at (206) 727-4000 or use the confidential contact form on this page to have your case personally reviewed by our award-winning legal team. If we believe we can improve the chances of a favorable outcome, our attorneys will meet with you for a free legal consultation at your convenience.